Companies typically die around ~20 months after their last financing round and after having raised $1.3 million. Companies in the social industry saw the highest of number of startup failures in the period in question. Want to identify acqui-hire targets? 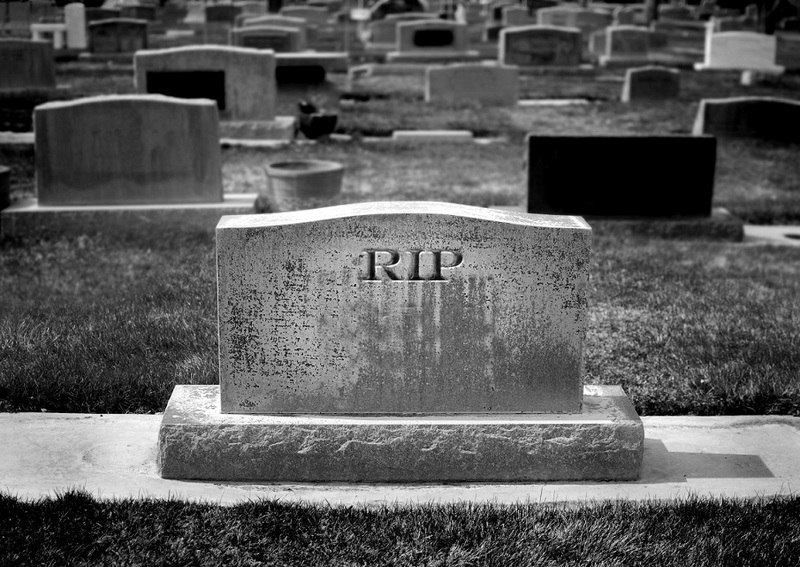 Get our list of dying tech companies. Startup death is surprisingly hard to identify. Many startups are essentially dead but limp along for years in zombie-like fashion. So although on life support, these walking dead startups are not included in this analysis since they’re not officially deceased. Shikhar Ghosh, a senior lecturer at Harvard, who’d studied startup mortality found that “VCs bury their dead very quietly” further compounding the issue of identifying dead companies. Survivorship bias reigns. We tend to fawn over the few billion dollar exits and hear little of the failures. As a result, there is less data out there about startup death. Ultimately, this is bad for the ecosystem as Jason Cohen explains in his essay on the topic of survivorship bias, “The fact that you are only learning from success is a deeper problem than you imagine”, but this is a topic for another day. But despite those challenges, we are increasingly tracking startup mortality data. In our efforts to algorithmically rate private companies, it’s critical to understand both the successes and failures to train our models. In each year since 2010, 70% of all dead tech companies have been in the internet sector. This is hardly a surprise as within tech, a majority of funding and deals has gone to the internet sector and so it would follow that the sector would have the largest proportion of dead companies. The % of companies dying within the internet sector has stayed relatively range bound over the last several years as well. Mobile has seen far more volatility in terms of its share of dead companies. Mobile talent being highly coveted has made these firms a prime target for acqui-hires but as investors pour billions into mobile-first companies, it is likely the # of failed mobile startups will also climb. 55% of failed startups raised $1M or less, and almost 70% companies died having raised less than $5M overall. Not a big surprise. Companies at the earliest stages are the most vulnerable due to limited financial runway, immature products and businesses and general uncertainty about whether the market needs what they’ve built. This is why we’ll see more startup orphans. While the dead companies on our list raised $11.3M on average, the median funding raised which is a better measure in this case was $1.3M. 71% of the dead companies lasted less than two years after their last funding round. While some companies can take up to five years after their last funding round to be officially declared dead, the average company dies ~20 months from its last funding round in the absence of additional funding or acquirers. The median time is 16.5 months, or a little under a year and a half. In comparison, getting acquihired on average takes 2-4 fewer months, so if you haven’t seen either more capital or an interested acquirer by the 15-month mark, things are not looking good. The line between death and an acqui-hire especially is quite thin. Death is not specific to a particular type of sector or industry. In fact, the companies on our dataset represent a fairly diverse set of subindustries. To help you identify what’s not hot, the subindustries with the most dead companies, both over the past four years and in 2013, are shown below.